The mid-size pickup segment has received the fresh blood with the return of the Ford Ranger and the introduction of the Jeep Gladiator. Toyota Tacoma remains the class best seller but we will see the public response to the new models. Chevy Colorado and GMC Sierra are also well-rated mid-sizers in the class and with the distinct advantage of having the cable and efficient Duramax turbodiesel engine. It might not be for a long as Jeep announced a 3.0-liter turbodiesel V-6 and the Ford Ranger should also join with the oil-burner. The Duramax-powered Colorado is available in many configuration options and can be also upgraded with the off-road gear in the Z71, ZR2 and recently introduced ZR2 Bison versions. The bowtie brand updated the infotainment system and added several new features for the 2019 version. The next model year should bring some styling and interior upgrades with possible powertrain improvements. The new turbocharged gasoline engine has been repeatedly mentioned as the welcomed upgrade but no confirmation from the bowtie brand so far. The 2020 Chevy Colorado Diesel will again be available with the tried-and-proven Duramax four-cylinder engine but could get some styling and interior updates. The 2020 Chevy Colorado Diesel will again rely on the well-proven 2.8-liter Duramax four-cylinder engine and should keep the six-speed automatic transmission. No signs that Chevy is working on some improvements on engine’s performance either. The 2.8L Duramax diesel makes 181 hp at 3400 rpm and the peak torque of 369 lb-ft is available at 2000 rpm. 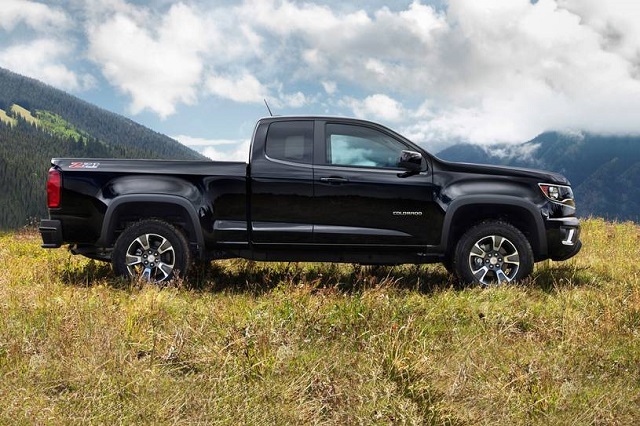 When equipped with this engine, the Colorado can tow up to 7, 700 pounds. The diesel mill will be available on all trims except the base. The truck will allow the off-road upgrades in several levels. The Z71 badged model will add the suspension lift combined with the unique dampers and limited-slip rear differential. The ZR2 will lift the capability with the front and rear locking differentials and Goodyear Duratrac tires. The ZR2 Bison will boost the off-road capability further with the additional improvements like the upgraded rear axle, additional protection, etc. Chevy hasn’t introduced notable styling or structural upgrades since the redesigned Colorado arrived in 2015 except the ZR2 Bison model has unique styling elements. The next version could, however, get refreshed appearance as the reports claim but no prototype models spotted on the road yet. 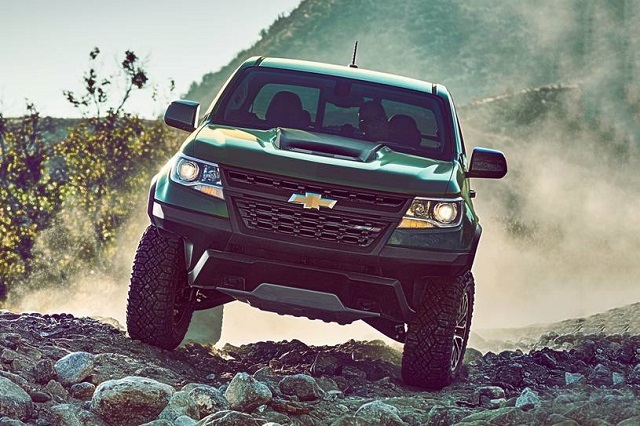 The 2020 Chevy Colorado Diesel and other versions should get revised grille design and headlights with the similar changes on the rear side. The profile should continue in the same form. The bowtie brands should also introduce new wheel options and body shades plus additional exterior theme. There should also be several new touches inside the cabin of the next Colorado. The fresh details should appear combined with the upgraded tech and safety features. The model will provide up-to-date infotainment system with the smartphone support features. The upscale comfort features will also be available. The truck should also expand the range of the active safety systems and the reports suggest the introduction of the automatic emergency braking and rear cross-traffic alert. The 2020 Chevy Colorado Diesel will debut in the second part of the year and go on sale late in the year. The expected upgrades should lift the price slightly.